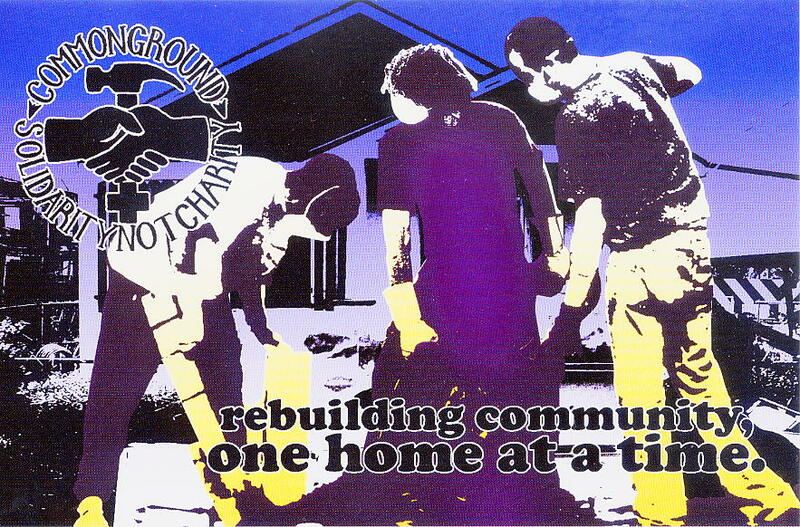 I had the honor of working with, creating, and building Common Ground Relief from early October 2005 through October 2006. During that time one had to hold both the horror and the awe of what was taking place in New Orleans after Hurricane Katrina. While much has been written, there will be more to come. The original Common Ground website went down and much of that material was lost. Here are a few of the public documents developed during that time. 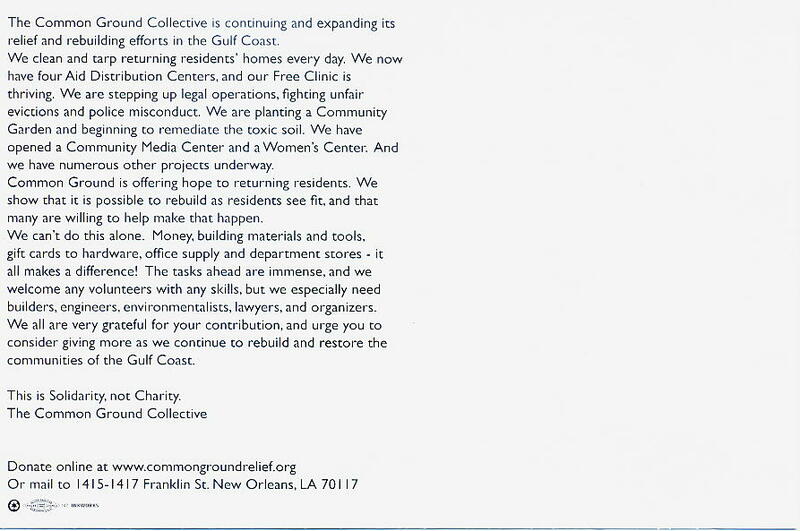 Click here to find out what Common Ground is doing today.